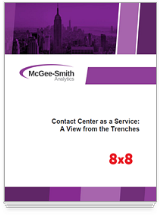 Contact Center as a Service: A View from the Trenches | 8x8, Inc.
You’ve considered moving your contact center to the cloud but what’s the real day-to-day impact on agents, supervisors and contact center managers? 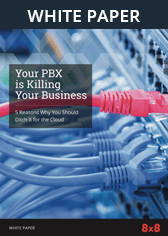 Industry analyst Sheila McGee-Smith unpacks the insights and discoveries gleaned from companies that move from legacy on-premises systems to Contact Center as a Service (CCaaS) solutions. Is cloud voice quality an issue? What about reporting and analytics? Get real-world advice from the companies that have actually been there and done that, presented by industry expert, Sheila McGee-Smith. Download this free white paper!